Tokyo, Japan. 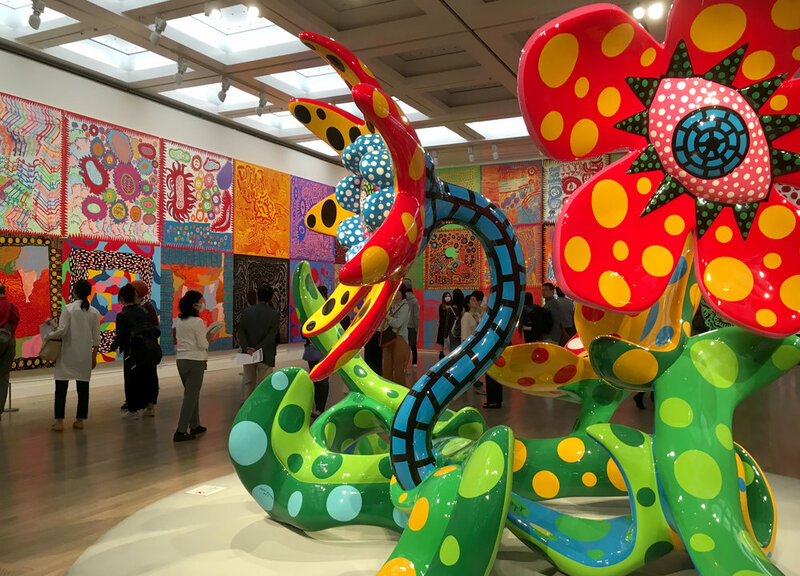 "Yayoi Kusama. My Eternal Soul" retrospective at the National Art Center. This was an exciting exhibition to see in the artist's country of Japan. Wrapping some of the trees around the outside of the building was a nice touch.